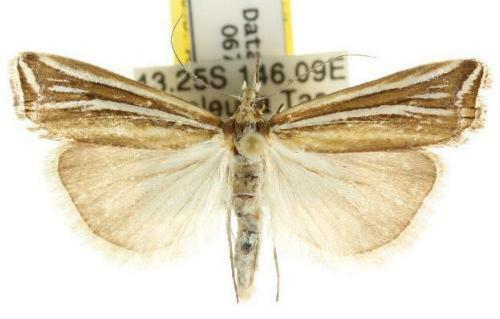 The adult moths of this species have cream forewings, each with several brown streaks. The moths are inclined to hold their long labial palps straight out in front of the head, looking like a birds beak. The moths have a wingspan of about 3 cms. Volume 49 (1925), p. 42.